Road trips make me super happy, so does traveling. 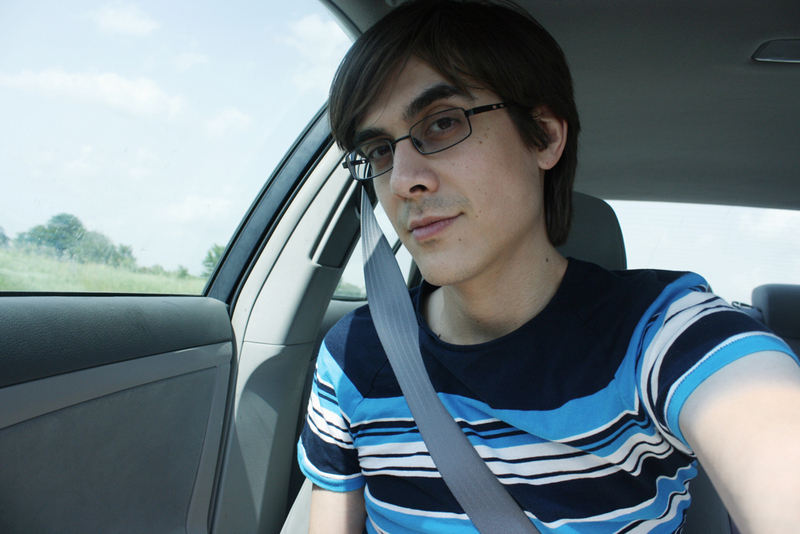 Two weekends ago, I was getting the itch to go somewhere. It had been over a month since I had taken a trip – I know, the horror! It had been close to 30 days since I had left St. Louis! As I am a huge HANSON Fan – a Mmmboppin’ lifelong, dedicated fan – I have always wanted to see Tulsa, Oklahoma, Hanson’s hometown. Actually, I’ve wanted to travel to Oklahoma since I was 12. Can you believe that’s 16 years? That’s a very long time to desire to be in one state, in one city. So I just HAD to go. I had missed Hanson Day – celebrated by Hanson fans everywhere on May 6 – in which dedicated fans flock to Tulsa, OK in May for a weekend full of events planned by Hanson. So I had to go. I was stoked and bubbling with excitement as I drove the 6 hours there. Luckily, I did not go alone. My handsome friend, Lee went along with me on my silly adventure! He was not that excited by the idea of Tulsa, but he went along for the ride with the promise that I would go see a free Smoky Robinson concert with him, about 40 minutes outside of Tulsa. And see Smoky Robinson we did, but more on that in another post. My nerves were going crazy I drove closer to Tulsa. What if Tulsa wasn’t at all what I expected? I was nervous and super crazy excited! I was finally going to see this awesome city that Hanson was from. I took a Hanson Tulsa Guide that the band created for fans for Hanson Day, and we used that as our guide. We left St. Louis at around 10AM in the morning, and “planned” our trip along the road. We jotted down opening and closing hours of the shops, restaurants, and sights we wanted to see. And then we just winged it. I am a very spontaneous traveler. I will go into detail at all the cool places we visited in individual posts. We arrived in Tulsa at around 5 pm. In a nutshell, Tulsa was an amazing city with a very indie/hipster vibe to it. But of course, that could have been because we only went to the hip spots. I didn’t realize what a thriving music scene they have in Tulsa, and how eclectic some of the people and shops are. There is a distinct feel to the city, and I loved it. There was a small town feel to it, though it wasn’t as small as I thought it would be. The Native American culture was also evident in Tulsa. It was a fabulous mix. The highlight of my trip was getting to see Hanson’s studios. I snapped photos outside the door, discretely because I didn’t want everyone to know of my crazy obsession with the Hanson boys. So I would snap a photo… and if someone was passing by, I would pretend to be taking a photo of the street. It was all covert operations, you know! Lee thought it was hilarious that I had to have a cover story for my Hanson trip. 3CG Studios (Three Car Garage – Hanson’s studios) is located in the Brady Arts District of Tulsa, a very vibrant artsy area downtown. It’s down the road from Cain’s Ballroom – where Hanson plays all of their concerts in Tulsa. There’s an awesome coffee shop across the street from their studios that serves breakfast tacos and the most delicious coffee. I loved the art that I saw in Tulsa. Other highlights from my trip include seeing the Golden Driller – one of the tallest statues in America. 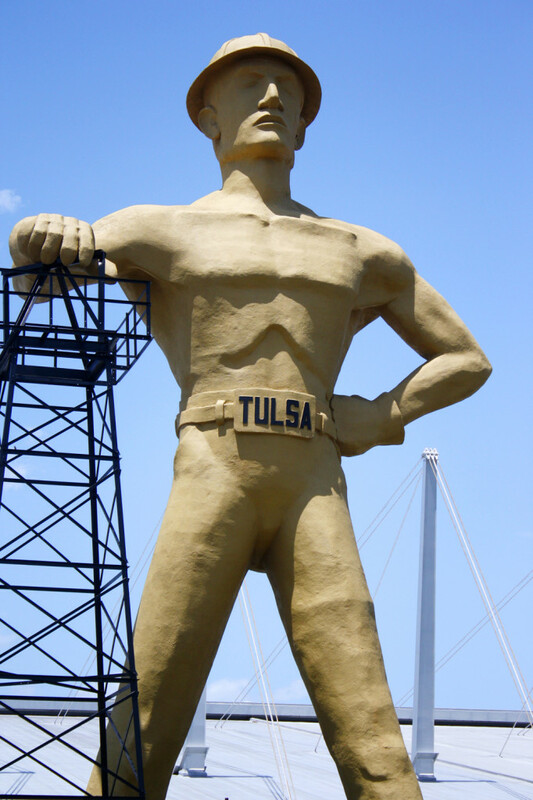 The original driller was built in 1953 on the Tulsa Fairgrounds, and this newer version in 1966. the Golden Driller is 76 feet tall, built of iron and concrete. He is HUGE, and quite a sight to see. 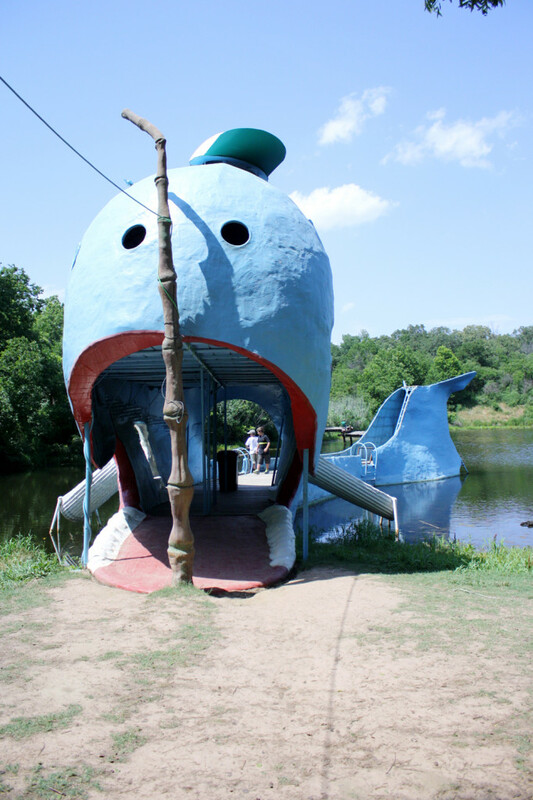 Just outside of Tulsa, in Catoosa, Oklahoma, Lee and I also stopped by the Blue Whale, built by a zoologist as a special place for his grandchildren to play near the pound. The Blue Whale is 20 feet tall and 80 feet long. It was fun to climb up, too. 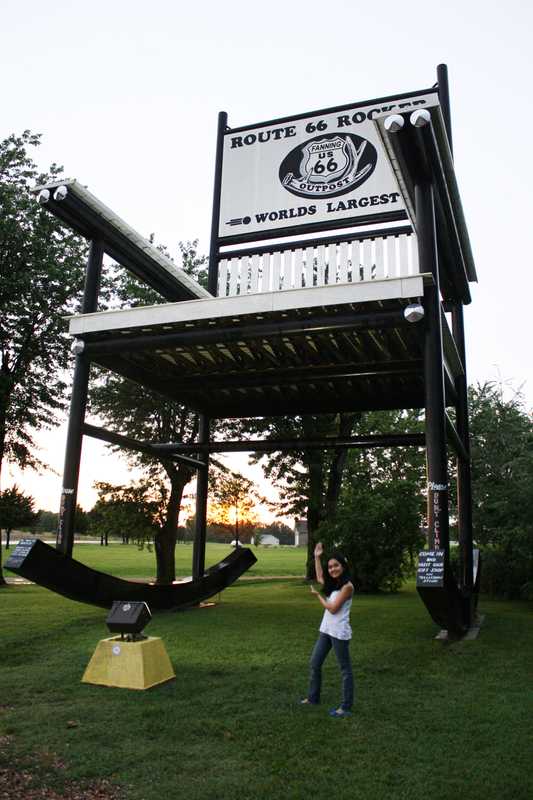 On the way home, we also found the World’s Largest Rocking Chair in Cuba, Missouri, off Route 66. This 42’1-inch steel rocking chair was pretty cool. There was also a general store next to the chair, but it was Sunday, so the store was closed. 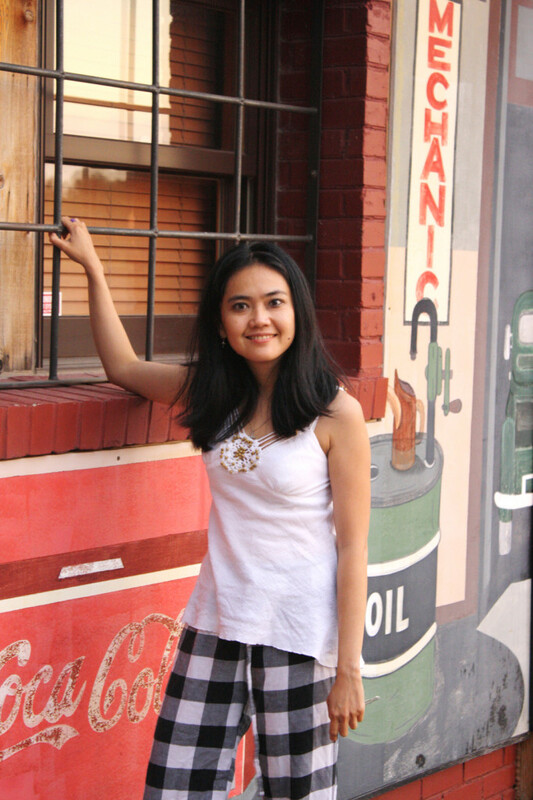 But the side of the general store was beautiful artwork, reminiscent of the 1950s and a simpler time. I loved this road trip. Although it was short – only about one day and night – it was definitely worth the journey. I recently took a road trip through Oklahoma on Route 66 and found it quite enjoyable. Going through Tulsa was unique. It was kind of tough to find the old route sometimes but it sure provided some interesting sites. 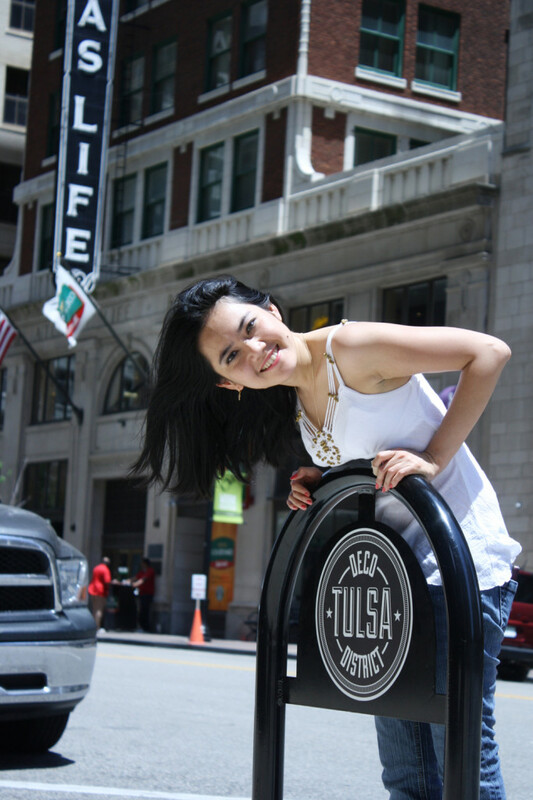 Tulsa is one of the towns on the old route that I suggest you give yourself plenty of time to explore. The Art Deco architecture is worth the trip.